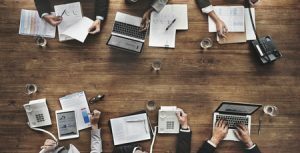 How to Run an Ideal Meeting | HPM Associates, Inc.
Are you in the process of planning an important meeting? You should avoid making the meeting too structured or too free-flowing. Most people respond best to meetings that are somewhat structured while also offering up the opportunity to veer off-track when appropriate. They also like meetings that aren’t too long and that provide them with time to take breaks every now and then. The venue that you choose for your meeting could make or break it. If you choose a tight space that’s too crowded, people might feel uncomfortable the whole time. If you choose a space that’s difficult to get to, people might be frustrated before the meeting even begins. Whether you hold a meeting in the city where your headquarters are located or make it a destination meeting, picking the right venue is of the utmost importance. Professional assistance from HPM Associates could make this job easier for you as well as help raise the bar in the execution of the meeting. Contact us now for a free proposal! There are many technological tools that you can utilize during meetings these days. As a result, you might be tempted to center your whole meeting around technology. Don’t do it. While you should obviously use technology to your advantage, people will start to lose interest if you lean too heavily on tech tools. Instead, use technology from time to time to stimulate people’s senses without going too crazy with it. People tend to get more out of meetings when they participate during them. Whether that means asking questions during a Q&A session or presenting ideas to the group, participation is key. Do what you can to encourage people to participate in your meeting and they’ll be more likely to remember everything about it. Your employees can only listen and sit for so long. When you’re planning your meeting, be sure to brainstorm interesting activities your attendees can do on breaks. Perhaps bring in fitness or entertainment staff to get your employees up and moving. This will allow them to completely break from the sedentary style for the rest of the meeting, plus physical movement is a great tool to keep people motivated and provide some stress relief! If not all your employees can participate in a physical activity, try incorporating a mini team building activity during your breaks! No matter how great a meeting goes, there is always room for improvement. Poll employees at the end of a meeting to see what worked and what didn’t. Adjust accordingly as you move forward so that your meetings are always as effective as they can possibly be. HPM Associates knows how valuable meetings are to your company. We can help you make the most of them, regardless of where you want them to be held. Contact us now if you need assistance planning your next meeting! We know you won’t be disappointed.